There is a lot of talk in Silicon Valley. And a lot of hand wringing. What there isn't always enough of is accountability. Stephanie Lampkin is trying to change that. She is CEO of Blendoor, a startup that helps companies measure just how well they are doing across a range of tangible benchmarks. On Friday, Blendoor ranked 138 Silicon Valley companies on just how well their diversity efforts are doing. The inaugural rankings, published Friday, gave the highest marks to HP, PayPal, Cisco, Apple and Yelp. How they build a score: Blendoor tracks a variety of metrics on companies' recruitment, retention, leadership and impact. Among the types of things that it looks at are both the actual percentages of diverse candidates screened for a job, hired and promoted, as well as characteristics that go to the type of environment the company is creating. 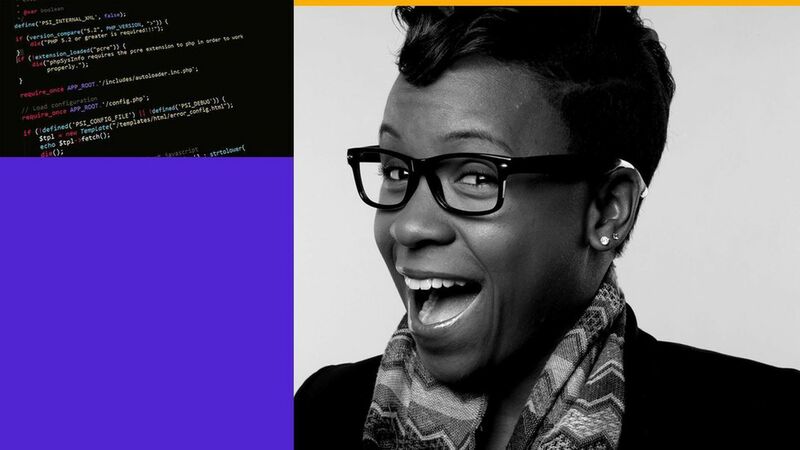 Axios caught up with Lampkin for some frank talk on her findings and the state of diversity in Silicon Valley. There's this perception that all tech companies are equally bad at actual results on diversity but your scores show a wide range. Is it a misperception? Yes, definite misperception. Unfortunately, I think the media has played a role in creating this reality because once we pull back the layers, with companies like Slack for example, we're surprised to find how homogenous their leadership team still remains. What I'm hoping to do is show the real differentiation because many companies are just hiring a chief diversity officer, giving money to non-profits, but still aren't putting underrepresented people in positions of real power/influence. Who is doing more than talking about diversity? I'd say that top 3–5 companies on the BlendScore list are doing a pretty good job, but there is definitely still room for improvement. I've created the algorithm such that attaining a score of 100 doesn't take extreme measures (much like the Human Rights Campaign's Corporate Equality Index). Most of these companies have zero underrepresented minorities on their board or executive teams….diversity for them is often White, occasionally Asian, cis-gender straight women which is why I put photos up there too. CXO's and Board Members that genuinely give a f**k! Hiring and rewarding talented people equally is more important than driverless cars, AI, and virtual reality and it has to be regarded as such…why? Because there are talented people who can solve these problems that aren't even able to get in the game or get there and aren't treated well. Investment in education/STEM pipeline and human resource management that is comparable to R&D will work.